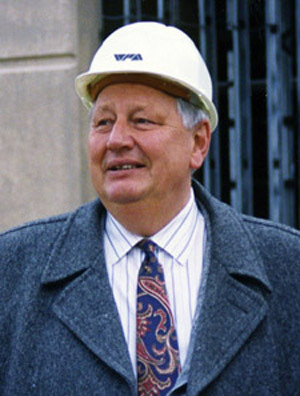 Victor founded the company in 1967 and continues as Chairman. Although he now oversees all company activities, Victor is a distinguished Civil and Structural Engineer. He has been instrumental in the development of Tilt-Up Construction and has been recognized as one of the leading authorities on that subject for over thirty years. Chief Engineer in charge of all architectural and engineering services for that firm. Responsible for the planning, design and construction of over two hundred buildings. Assistant Chief Engineer. Royal Canadian Air Force Aircraft Hanger Facilities, Somerville, N.S., Canada. Hanger Foundations, Aprons, Taxi Strips and Runways. T.C.A., Maintenance Base for DC-9, Montreal, Canada. 175 Ft. Cantilever Hangers, Foundations on Piles, Underground Heating System, Aprons, Taxi Strips. Project manager and Field Superintendent for Commercial and Industrial Buildings. Project Engineer, supervised installation of New Jersey Refinery and Tank Farms. Project Engineer for North Bay Plant, Ontario, Canada, Underground Structures for Storage of Explosive Materials and Kingston Plant, Ontario, Canada: Chemical Processing Facility and arnia Plant, Ontario, Canada: Nylon Manufacturing.